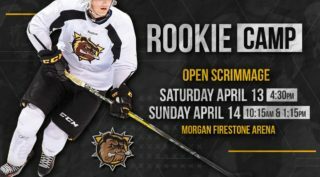 Hamilton Bulldogs will be spreading out across North America over the next few days as NHL Rookie Tournaments get underway. Here’s a look at who will be trying to make an impression on NHL coaches and management. Several players will be taking part in the 20th annual NHL Prospects Tournament in Travers City, MI. from September 7-11. 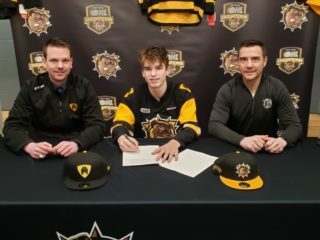 That includes goalie Kaden Fulcher who was signed by the Detroit Red Wings following last year’s tournament. Mackenzie Entwistle, who saw his rights traded over the summer, will suit up for the Blackhawks. Nicholas Caamano and Benjamin Gleason will compete for Dallas. Caamano is a Stars draft pick while Gleason is a free agent. OHL Playoff MVP, Robert Thomas is on the St. Louis roster. The Blues 2017 first round draft pick has been recovering from an off-season injury after returning from the Memorial Cup at the end of May. 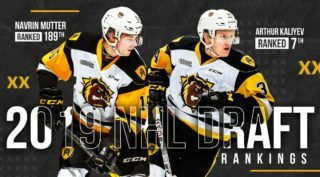 Three Bulldogs will be competing in the 3-Team Rookie Showdown in Laval, Que from September 7-9 including Montreal Canadiens draft pick Will Bitten. Free agent Nicolas Mattinen received an invite from the Ottawa Senators while former Bulldog Ryan Moore, who signed an AHL deal with the Toronto Marlies, will play for the Toronto Maple Leafs rookies. Matthew Strome heads to Philadelphia for the Flyers Rookie Camp that will wrap-up on September 12th with a Prospects game against the New York Islanders. Brandon Saigeon, who was drafted by Colorado in June, will play for the Avalanche at the Vegas Rookie Faceoff September 8-11. 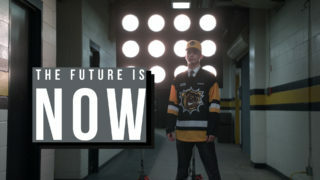 Two more drafted Bulldogs, Riley Stillman and Marian Studenic, are also off to rookie camps. Stillman with the Florida Panthers and Studenic joins the New Jersey Devils at the Prospects Challenge in Buffalo, NY. from September 7-10. Free agent Isaac Nurse went to Vancouver’s Development Camp in early July, made an impression, and earned an invite from the Canuck’s to take part in the Young Stars event from September 6-9 in Pentiction, BC.